However, Rashtriya Janata Dal leader Tejashwi Yadav claimed that Sushil Kumar Modi is a thief himself as he is involved in the Srijan scam. 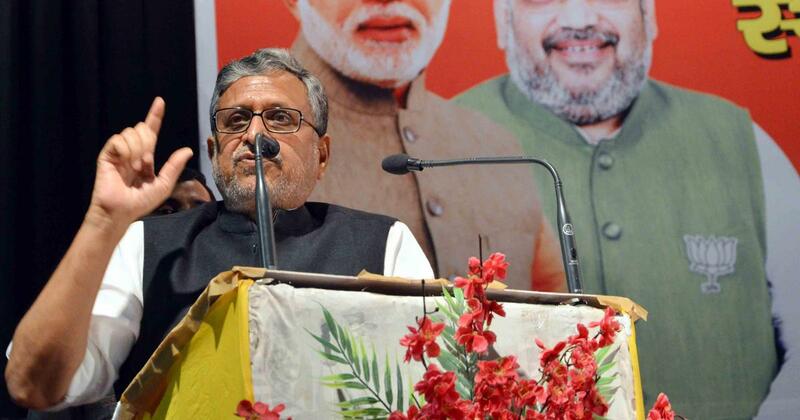 A file photo of Bihar Deputy Chief Minister Sushil Kumar Modi. Bihar Deputy Chief Minister Sushil Kumar Modi on Tuesday said he will file a defamation case against Congress President Rahul Gandhi for his remark that all thieves share the Modi surname, PTI reported. 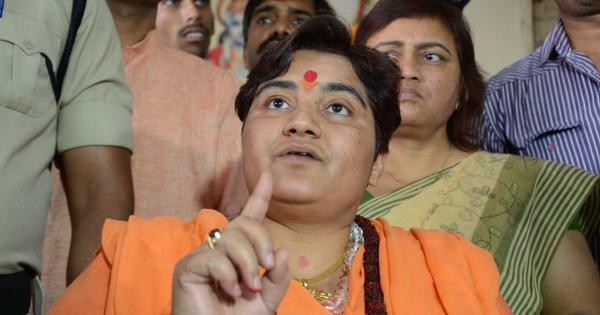 The scam relates to the Srijan Mahila Sahyog Samiti, a non-governmental organisation, in whose accounts government funds were allegedly fraudulently transferred between 2004 and 2014. The NGO used to provide vocational training to women in Bhagalpur district of Bihar. Rahul Gandhi, at a rally in Maharashtra’s Nanded on Monday, had wondered how all thieves have “Modi” in their names. He was referring to former Indian Premier League Commissioner Lalit Modi, fugitive diamond merchant Nirav Modi and Narendra Modi. Gandhi has repeatedly attacked the prime minister in recent months, claiming he gave Rs 30,000 crore of taxpayers’ money to businessman Anil Ambani in the Rafale deal. On Tuesday, Narendra Modi lashed out at Gandhi at a rally in Chhattisgarh’s Korba. “There is a naamdar who said recently that all Modis are thieves,” he said. “Those of you here who are named ‘Sahoo’, if you went to Gujarat, you would be called ‘Modi’. So tell me, are you all thieves?